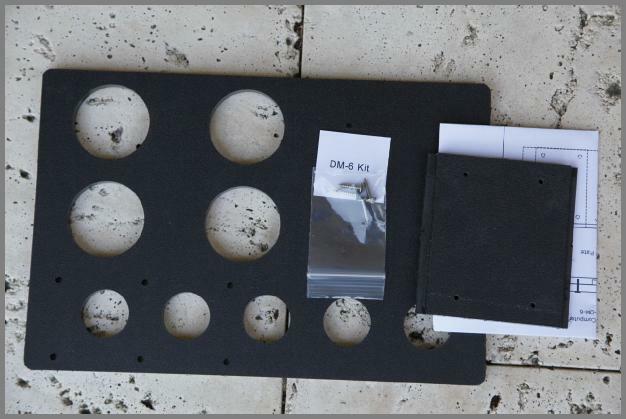 An eyepiece tray that mounts on top of the DM-6 mount, allowing quick changing of your favorite eyepieces. Always in reach no matter where your telescope is pointing. Slide on/off fit to make transporting easy. Can be reversed for use with telescopes mounted on left or right side of mount. The tray is also made of ABS plastic so it won't scratch your eyepieces. In addition your tray can be used as a platform to hold small computers such as Tablets. 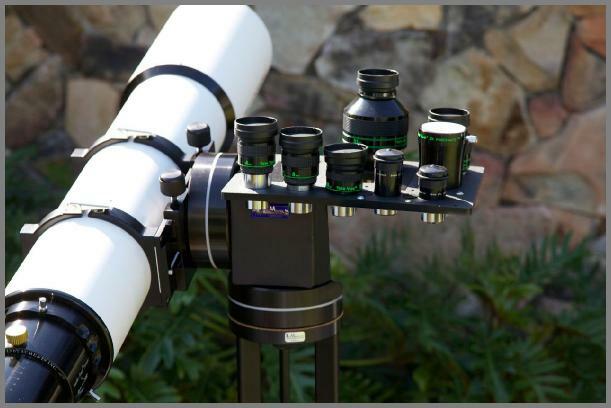 Accepts four 2" eyepieces and five 1.25" eyepieces.